First of all, what do telematics do and what don’t they do? In general, telematics help you keep track of where your vehicles are, where they are going and how they get there. And a good system can significantly increase your fleet efficiency – according to The Telegraph the Automobile Association was able to save a million pounds (£ 1 million) the first year they implemented a particular telematics system. However, and this is the critical part, telematics are only part of increasing fleet efficiency. You can certainly save money by ensuring that your vehicles take the most advantageous route but if they end up in having even a minor-collision on the way, all those savings, plus more, may be gone in an instant. Not to mention more serious collisions that can endanger your workforce and others on the road, and leave you open to legal liability. This is why many fleets are opting to integrate their current telematics system with a collision avoidance system (CAS). These systems warn drivers of potentially dangerous situations such as getting too close to the vehicle ahead of them or unintentional lane departure. According to an Insurance Institute for Highway Safety study conducted in the US, lane departure warning systems for lorries cut the number of collisions resulting from unintentional lane departures by half. In addition to avoiding collisions, studies have shown that these warnings actually train drivers to avoid getting into dangerous situations in the first place. And this trend can be substantially reinforced by integrating telematics and collision avoidance systems in order to collect data on drivers’ habits, empowering Fleet Managers to reward good behaviour and focus training programs on where bad behaviour manifests itself. Liability Reduction Keeping drivers out of hazardous areas and able to concentrate on the road lessens the chance of collision Alerts significantly lower the number of collisions, camera equipped systems can prove who was at fault. However, when you closely examine this chart, it seems that the question of telematics or a collision avoidance system is less a dilemma and more of an opportunity. Each system provides a tremendous opportunity for its own Return on Investment (ROI). We’ve discussed the ROI of telematics above, so let’s now look at collision avoidance systems. To really understand the ROI, you must first understand the true cost of accidents. According to the accident and causality costs table of the Department for Transport Statistics, even slight accident cost an average of £25,451, rising to £243,635 for a serious accident and over £2,000,000 in case of a fatality. Now imagine reducing collisions by almost 30%, the effectiveness of forward collision warning alone, and you can really appreciate the ROI. And, of course, over and above the ROI from collision prevention, a collision avoidance system can also add to the fuel savings you’re already getting from telematics. While it’s obvious how you can save money by taking shorter or less congested routes, many Fleet Managers are unaware of how much fuel is eaten up by poor driving habits like sudden braking. For example, Dish USA reported an astounding 2% drop in fuel costs after installing Mobileye systems. Best of all, integrated telematics and collision avoidance systems provide the data you need to show the ROI of both by tracking collision reduction, fuel savings and uptime. 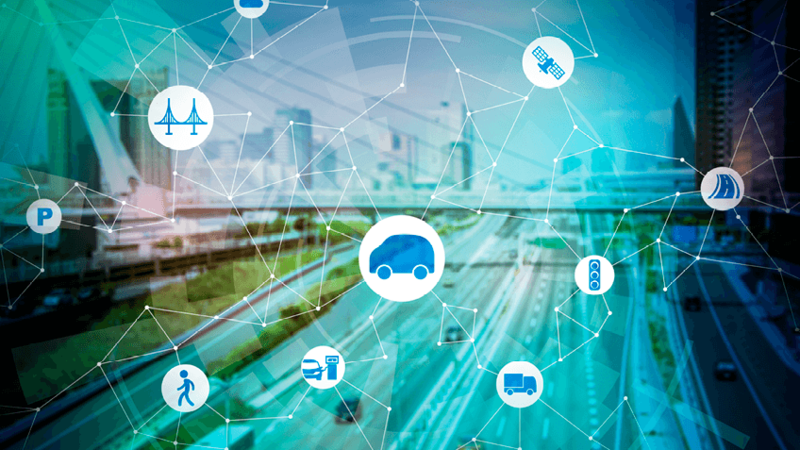 So while some Fleet Managers may see a tough budget choice between telematics and collision avoidance systems, others see an opportunity to combine the two, increasing savings and ROI. Contact us to learn more about how you can implement Mobileye’s collision avoidance system in your fleet.